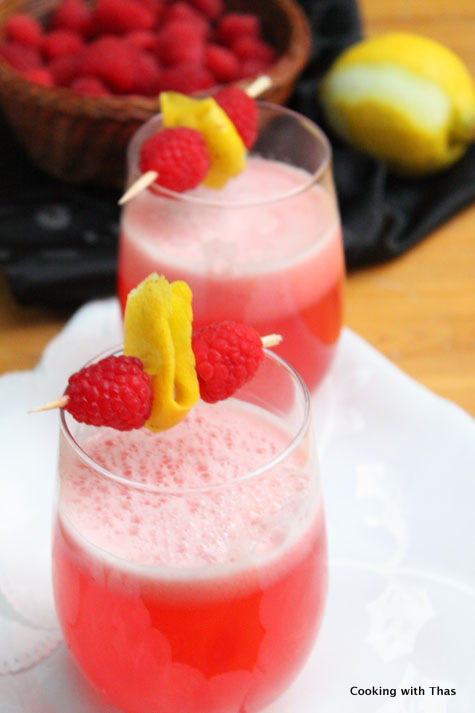 Combine the freshly squeezed lemon, grated ginger and sugar together. Strain it to remove any seeds and fibers. 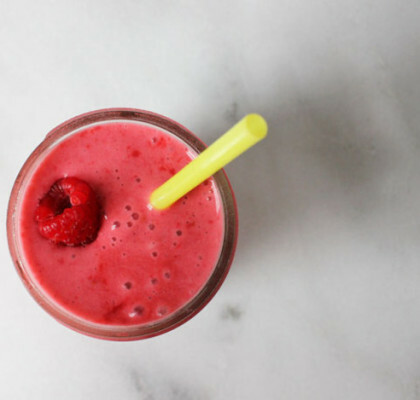 In a blender, puree the raspberries along with the lemon/ginger/sugar and water. 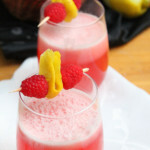 Strain the juice into a pitcher and add ice cubes. 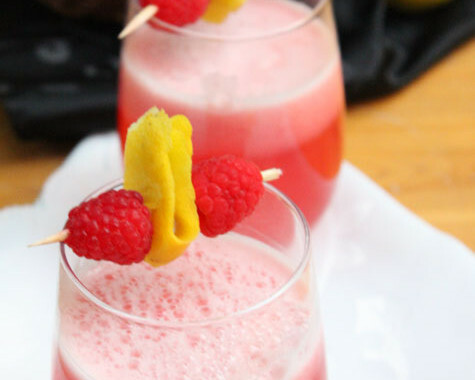 Pour into chilled glasses, garnish with peel of lemon and fresh raspberries. 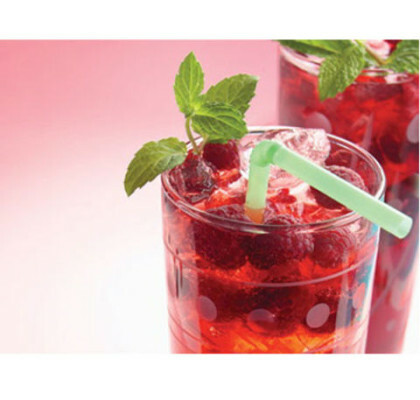 You could even use carbonated water, if so don't puree the raspberries along with the carbonated water. 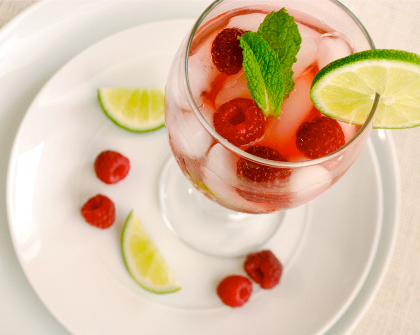 After pureeing the raspberries along with the lemon juice/ginger/sugar, add the carbonated water into the pitcher and combine well.